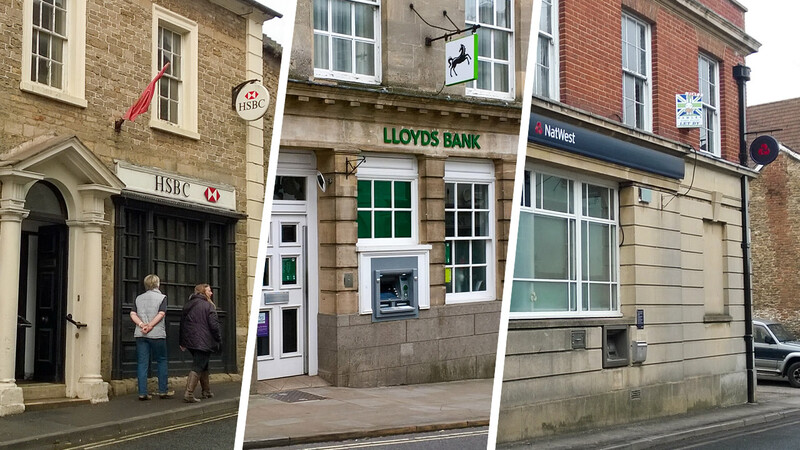 Earlier this year both NatWest and Lloyds banks announced they would be closing their Wincanton branches. Lloyds permanently closed its doors yesterday, and NatWest won't be far behind. How is it possible that a growing town like Wincanton can end up with no banks? Not so long ago, Wincanton had three banks: HSBC, Lloyds and NatWest. However, in October 2015 HSBC announced their branch would close in January 2016. This came as a shock to the community, but with two remaining banks in town the general consensus was that HSBC account holders would migrate, securing the future of the others. Sadly this proved not to be the case. NatWest was next to announce their branch would close, on 10th October 2017. Not long after, perhaps by coincidence, Lloyds announced their branch would close even earlier, on 27th September. Understandably the community has been left wondering what the future of banking will be after 10th October when Wincanton will no longer have any traditional banks. For the foreseeable future, the Post Office will be the only provider of over-the-counter banking services in town, and with some important limitations. The major banks claim that online banking has become so popular that many traditional branches are no longer economical. With the massive uptake in mobile computing devices, especially among the younger generations, it’s no surprise online banking is continuing to grow. Over-the-counter transactions started to decline when ATMs were introduced. From a purely business perspective it’s no surprise that Wincanton, like most other towns and cities, was destined to lose some, or all of its banks eventually. What’s less predictable is the loss of the two remaining branches at almost the same time, as if coordinated. Wouldn’t the bank with the last branch stand to gain from a town monopoly? Town centre businesses are expressing concern that they will experience a further drop in footfall as banking customers, especially those living in surrounding villages, may decide to drive to their nearest branches in other towns, and do the rest of their shopping at the same time. To make matters worse, when the branches leave town they’ll be taking their cash machines with them. That’ll leave the one inside Co-op as the only town centre ATM, and it’ll only be available during opening hours. Yet more footfall may transfer to the out-of-town supermarkets. Thankfully, on 18th August South Somerset District Council received a planning application to add an ATM to the public telephone box in Carrington Way. The NatWest branch has long been a contributor to the nasty traffic bottleneck at the top of South Street. It only takes a single customer parking directly outside to cause a pinch that’s often too small for larger vehicles to pass. When NatWest leaves, the South Street problem may be largely resolved, but with over-the-counter banking focussing on the Post Office there’s potential for a new traffic issue caused by patrons attempting to park in and around Market Place. Predictably, the banks are directing account holders to their own nearest branches, many of which are in neighbouring counties, entailing journeys of 10 miles or more. A Lloyds survey of its Wincanton branch revealed that, with the exception of Shepton Mallet, the closest alternative branches are all in the neighbouring county of Dorset. Yeovil was also given as an option because of the hourly bus service, but since the study was completed that service has been reduced to two-hourly. 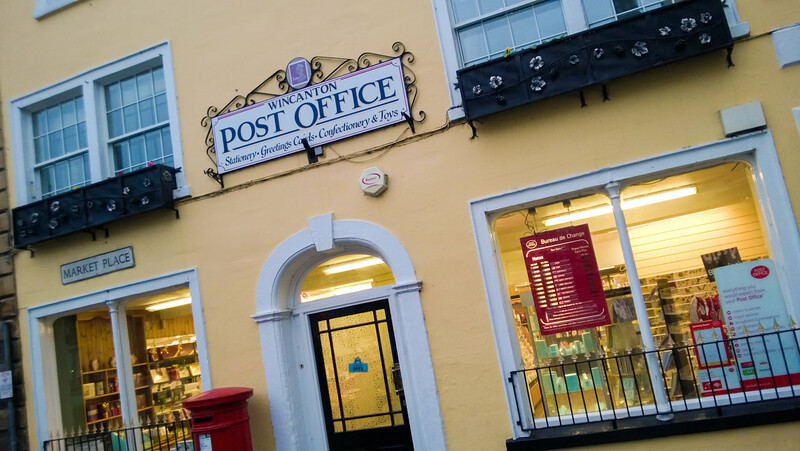 Thankfully, for day-to-day banking, Wincanton account holders are able to conduct much of their business at our excellent Post Office. Here are the rules. Postmaster Nigel McCormack and his team have already experienced an increase in footfall since the HSBC closure, but with the last two banks closing further growth is surely imminent. The Post Office has already employed extra staff in preparation. 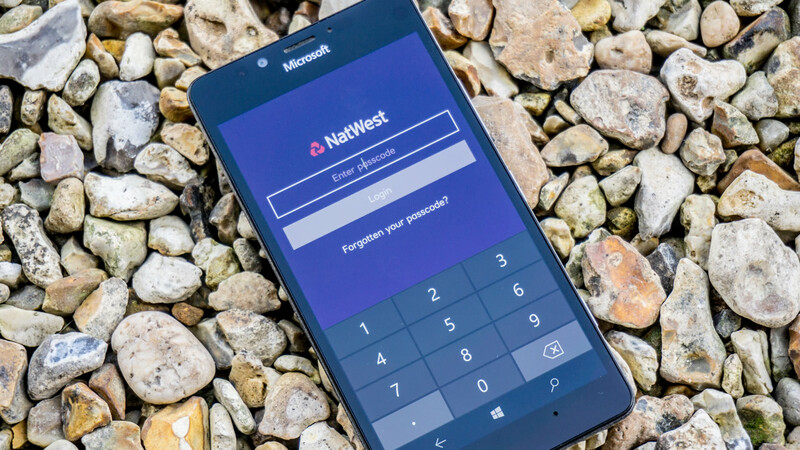 Both Lloyds and NatWest are offering mobile banking services in Wincanton and several other towns in the area. Both services began operating on a trial basis before the branches were scheduled to close, and coincidentally, both on Wednesday 14th September. The services offered by both mobile branches are similar. 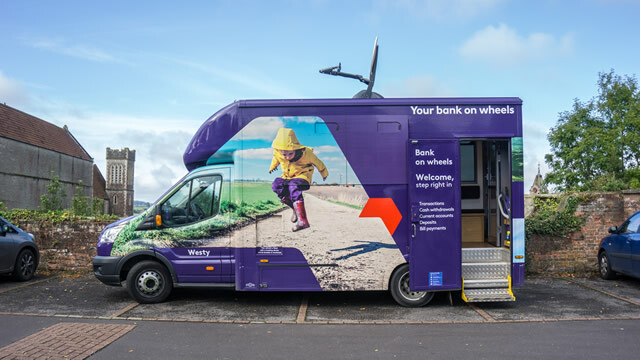 Each provides a van with a couple of personnel, and a satellite internet connection to enable the staff to perform traditional banking functions. These include transferring between personal accounts and general account management. If you're happy to register for online banking, even though you may choose not to use it at home, the mobile branch staff will be happy to help you get set up, and you'll even be able to use their tablet and internet connection to perform more advanced banking functions, with help on-hand. This way you'll be able to pay third parties direct, with Faster Payments transactions that usually complete the same day. Though typical banking services are available, if you need assistance of a more complex nature, fraud resolution for example, you’ll need to get on the telephone or visit a branch. 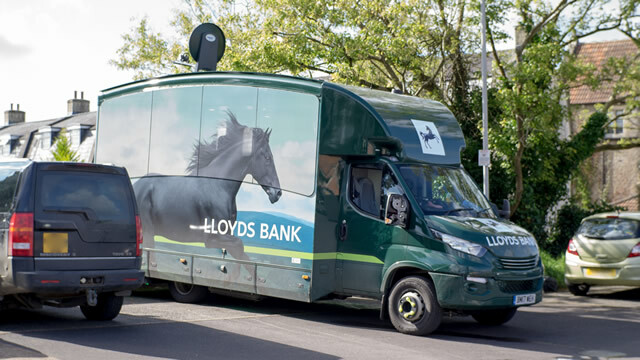 The Lloyds mobile branch spends a great deal more time in Wincanton than NatWest’s; the latter showing up for only 45 minutes, and only once a week. However, in addition they have also provided a Community Banker Support service at the Balsam Centre. Every Tuesday, 9:30am - 11:30am, starting from Tuesday 17th October, Samantha Ryall will be in the Silver Birch room at the Balsam Centre to answer any banking queries and provide online and mobile banking help. Sam won’t have a direct electronic connection to your account as the mobile branches do, but she will have a phone, an internet connection and a tablet, so even if you don’t have your own device she can help you use online banking, and register for that service if necessary. She’ll also be able to help with some of the more complex issues, including fraud, by making calls on your behalf. You can contact Samantha on 07966 539170 and at .